Petals of Oban is an award winning Interflora florist shop in Oban, Scotland run by Lynette MacArthur. The shop was started by her mother, Agnes, 20 years ago and it remains a real family affair. It's consistently excellent customer service which helped the business secure the title of Florist of the Year 2015 at the Scottish Independent Retails Awards, North West region. But, one of the biggest problems that any florist will face is the seasonality in the business. Petals of Oban sees huge peaks in demand around Mother's Day, Valentine?s Day and in the wedding season. So in addition to usual stock that is required, Lynette has to account for the variable seasonal demand. "We have to make the most of each event in the calendar and that's about having enough stock in to meet demand. Flowers for Mother's Day can cost in excess of £5,000 and pre-buying for weddings and funerals can also run into thousands," she says. To meet these demands and others, Lynette has received £37 000 in Merchant Funding from Liberis. Because repayments are taken as a percentage of revenues, Merchant Funding has provided several advantages for Lynette. 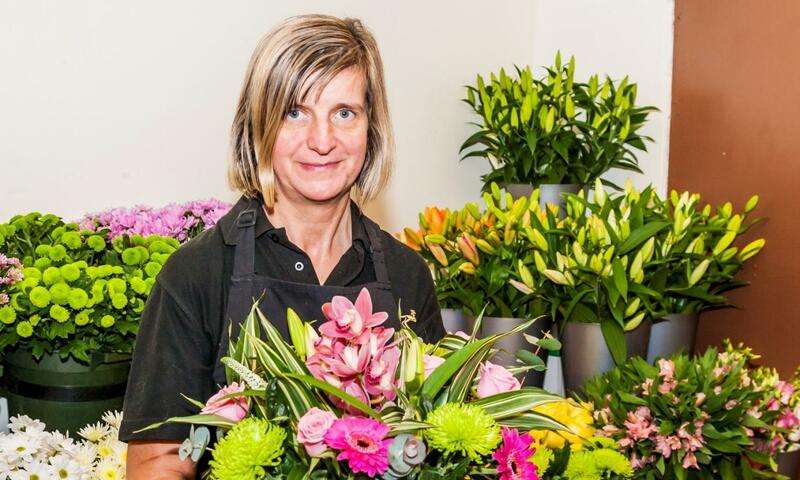 She is able purchase large stocks of flowers or refurbish equipment in preparation for a big event, without putting pressure on cash flow in the period before demand increases. "We have to make the most of each event in the calendar and that?s about having enough stock in to meet demand. Flowers for Mother's Day can cost in excess of £5,000 and pre-buying for weddings and funerals can also run into thousands." she says. Additionally, Merchant Funding allows Lynette to maintain strong relationships with her suppliers as she pays them after 2 weeks instead of 8. "This puts me in complete control, which is great and works really well. I pay them, but only pay Liberis back when I do business. Some days we can put £1,000 through the card machine and on other days it can be £35.00, but the payback mirrors this. There's no pressure at all. It really is the perfect funding for us."